Provided by the publisher for review. All opinions are my own. 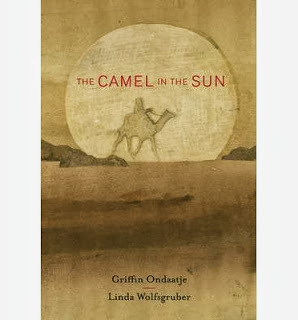 This moving story about compassion is adapted by Ondaatje from a hadith, a traditional Muslim tale about the Prophet. We feel for the hardworking camel who keeps his sadness inside as his companion ignores his needs. The oblivious owner of the camel is enlightened to the camel's plight by the magic of the Prophet, and steps into the camel's hooves for just a moment, but that is all it takes to engender compassion. Wolfgruber's illustrations bring us to another place and time, and plop the reader right into the desert. I would love to visit the beautiful Medina she has brought to life. This is a great choice of book for this Thanksgiving weekend. Is there someone whose work you underappreciate? Is there someone who needs a hand or a shoulder to cry on near you? Give them the words they need to hear - that's what Thanksgiving is all about. This is the fifteenth book I have reviewed for the Seventh Canadian Book Challenge. Oh... this looks great. I never would have seen it without you. Thank you! It's really amazing- and I've never seen a hadith adapted for English reading children before! Hope you can find one.